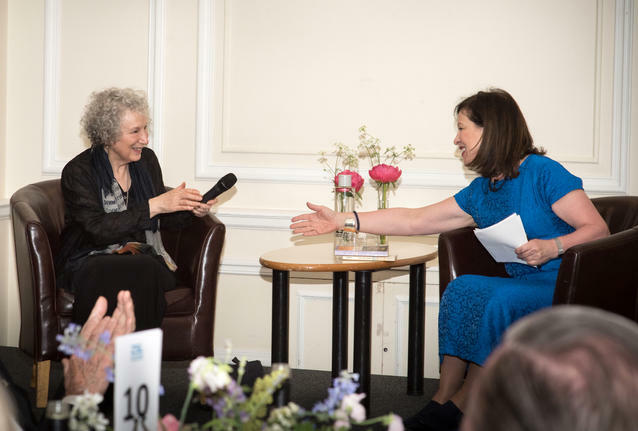 Thank you for joining us for our very special Spring Dinner with Margaret Atwood. As highlighted at the dinner, our guest speaker Margaret Atwood and Graeme Gibson are long-standing supporters of BirdLife International, a global grass-roots organisation focused on protecting birds, their habitat and global biodiversity. You can show your support for their important work by becoming a BirdLife International member by clicking here or by contacting Sarah Bull at sarah.bull@birdlife.org or at +44 (0)1223 747553. We are in the midst of planning our next event and will be in touch with details soon. See you next time!